Yanwo, or bird’s nest, has been regarded as a rare delicacy in China until recently, when the average spending power of Chinese consumers started booming. They are not the nests of any bird obviously, but the nests made by swiftlets (sea swallows, haiyan), with bird saliva as the main ingredient. Edible bird’s nests are among the most expensive Chinese delicacies and tonics consumed by man. High quality whole clean white nests can come from Sabah, Thailand. and Vietnam and can retail at well over two thousand dollars a pound. For centuries, Chinese emperors, or m more precisely: their women, has been known to consume bird’s nest to enhance beauty and aid in disappearance of fine facial lines. Bird’s nest are exclusively built by small birds known as swiftlets. They belong to the large family of the common swallow, but only nests from three species are edible. The nests are built from the bird’s salivary secretion which is abundant, particularly during breeding season. These nests, often found clinging to the ceilings of caves as high as two hundred feet, are built by both parents expressly for raising their young. When the hatchlings are ready to fly off, the nests, found in many coastal caves of South East Asia including Borneo, Malaysia, Indonesia, Thailand, and Vietnam, are then abandoned. Some of most costly edible nests are known as red blood nests. These are commonly misunderstood. Many think the red is stains of blood from the birds; however, their reddish hue is not blood. It is simply ferrous material, that is iron from chemical interactions of various natural factors such as temperature, humidity and contents of the cave walls where the nests cling. According to traditional Chinese medicine (TCM), bird’s nest influences lung, stomach, and kidney meridians, and improves appetite and complexion. Chinese commonly use them to aid recuperation from debilitating illnesses because of their easily digestible glycoprotein and other nutrients; also because of their as yet undiscovered bio-compounds. Science cannot yet explain the healing powers attributed to birds nests. Protein is the most abundant constituent of the nests, which contain all of the essential amino acids. They also contain six hormones, including testosterone and estradiol. The nests also contain carbohydrates, ash and a small quantity of lipids. Research has indicated that the nests contain substances that can stimulate cell division and growth, enhance tissue growth and regeneration, and that it can inhibit influenza infections. Recent scientific findings about bird’s nest characteristics highlight the presence of a unique profile of epidermal growth factor (EGF) believed responsible for repairing skin cells and tissue. This EGF is said to be responsible for their therapeutic benefits including enhancing a person’s complexion. Techniques of processing are minimal for whole nests with few feathers, that is if they are white and relatively clean. Nests with lots of feathers, known as black nests, need extensive processing in what is considered a cottage industry. Typically this is a long, tedious, and labour-intensive task. Generally, a space in a building close to the where the nests are gathered is transformed into a simple factory. There, workers devote themselves to cleaning, drying, sorting, grading, and packing collected uncooked nests. First, black nests are washed and soaked with warm water for up to forty-eight hours. Hot water can cause nests to expand and their strands to unravel. Too little water makes it difficult to extract the impurities. Next, tweezers are used to pluck the feathers and other foreign particles from the wet nests. Workers are trained to pick out only impurities and not destroy or remove actual nest strands. Hard corners of the nests are trimmed and removed using scissors. Once the nests are completely cleaned and trimmed, their long strands put into cup-shaped metal molds; see an illustration of them on this page. This helps them retain their original shape; and they are air-dried without heat. Once dried, they are graded and packed for shipping. Each piece of processed, dried, raw bird’s nest usually weighs about three and a half to four grams; that is twelve- to fifteen-tenths of an ounce. To process a batch of black nests from raw to dried and to clean them can require three or four days. Because edible bird’s nests can be prepared in many ways, in savoury soups, desserts with rock sugar, or infused with herbs, many Chinese and others enjoy bird’s nest dishes often during banquets and celebrations. When taken regularly, they are believed to improve a person’s overall physical health and their mental dexterity. Preparing raw bird’s nest can be done in two ways. 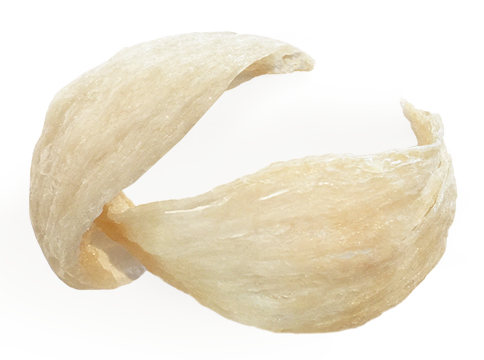 Premium white whole nests are made to look like a halved cup putting them in to a wire frame to shape them. The more affordable black nests are dried and molded into flat leaf-like pieces. To prepare them, the nest is rinsed quickly and then soaked in warm water to allow it to expand. Then it is either steamed or double-boiled for at least two hours. Tools and types of molded bird’s nest are also illustrated on these pages. There are many recipes that use bird’s nests including those serving them as a soup, typically with lean chicken. Sometimes, other ingredients are added to enrich the soup. 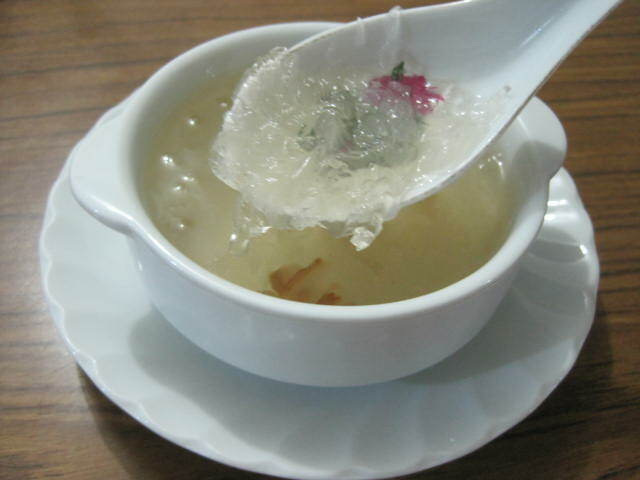 Many people love bird’s nest in dessert. One simple way is to add rock sugar with or without fruit. Some people add pitted dried red dates, lotus seeds, even white fungus. Others add coconut milk or pieces of other fruits such as papaya, mango, or pear. The birds nest has even aroused the interest of famous Western chefs like Gordon Ramsay, as witnessed by this youtube video. As hinted at the beginning of this blog, the consumption of birds nests has been affected considerably by the growing spending power of Chinese consumers. The birds nest trade increased 30 times between 2015 and 2017. While typical consumers used to be middle aged or seniors, the focus group has been shifting to the 18 – 25 year age group in recent years. Online shop Alibaba sold for RMB 1.48 billion of birds nests in 2017. What has been regarded as a tonic for wealthy ladies for centuries, is now within reach of most Chinese women. However, instead of eating the nests directly in the traditional way, birds nests are now made available in various presentation forms, including as ingredient for health foods and drinks and cosmetics. China needs to import bird’s nests from South East Asia, mostly from Malaysia. The country imported 105.2 mt of bird’s nest in 2018; up 29%. Today, bird’s nests can be pre-prepared and bottled for convenient culinary usage. It is important to purchase reliable brands ensuring that bird’s nests are of high quality. As is the case with many fancy foods in China, fake birds nest abound. Purchasing reputable bottled bird’s nest is not only easy, but it assures that the contents are made using real high quality edible bird’s nests. 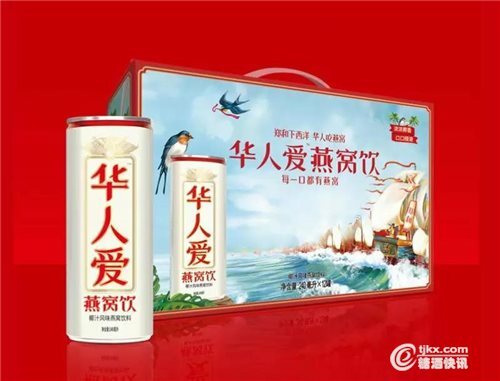 However, industrially processed bird’s nests are still marketed as fancy products, as shown by this ad of Yanzhiwo. A number of health beverage made from bird’s nest have been launched in China. One cannot but wonder how much of the ‘birds nest water’ you can make from one nest. But this news does show that the birds nest is yet another TCM product that has successfully reinvented itself in the modern world of fast moving consumer goods. 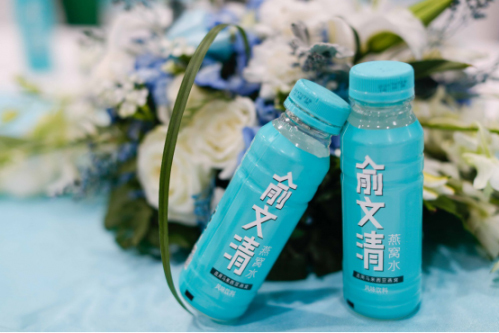 Huarenai (Guangdong) has launched a bird’s nest drink in 2018 and launched it nationally during the annual National Food Fair in March 2019. The company name (also the brand name) is cleverly chosen, as it literally means: ‘Chinese Love It’.